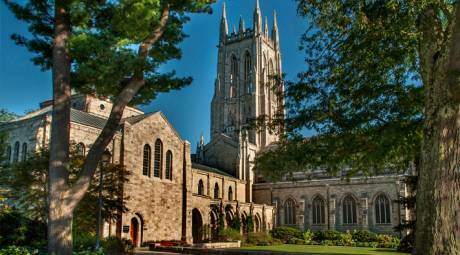 Things to Do in Bryn Athyn, Pa.
Bryn Athyn Cathedral was built in a combination of Gothic and Romanesque styles to mimic the great cathedrals of Europe. Tours of the impressive structure are offered throughout the year. And the cathedral, affiliated with the New Church, still hosts an active congregation. 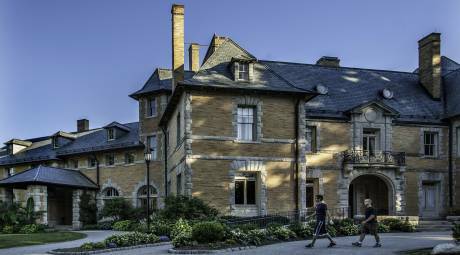 Finished in 1895, Cairnwood Estate was the home John and Gertrude Pitcairn. John, a wealthy industrialist, spared no expensive in the creation of his grand estate, including the immaculate grounds surrounding it. Cairnwood has become one of the county's most popular wedding venues and is also open for tours and special events throughout the year. 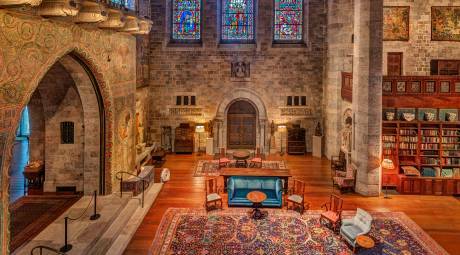 One of the most stunning exhibit spaces in all of Montgomery County (and perhaps all of Pennsylvania), Glencairn Museum is dedicated to religious art and artifacts. The museum&apos;s permanent collections cover a comprehensive range of ethnicities, artistic traditions, belief systems and creative expression. The Egyptian gallery, for example, covers gods, mythology and even mummy magic. Miniaturized dioramas bring the ancient world to life.